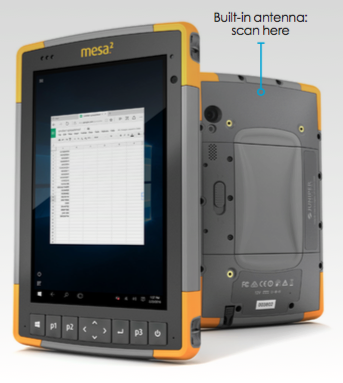 Now you can have the ruggedness and dynamic processing capabilities of our new Windows 10 Mesa 2 Rugged Tablet combined with the power of RFID. That’s right, the Mesa 2 with built-in RFID is now available for pre-order, allowing you to capture data-rich readings from multiple RFID tags in seconds. No Bluetooth pairing, no extra accessories needed. The Mesa 2 with RFID makes an ideal tool for asset management and tracking, and any other applications that involve the use of RFID technology. And, get this: the RFID reader is built inside the Mesa 2, so it doesn’t interfere with the Mesa 2’s excellent ergonomics. That means less fatigue and greater comfort during long work days. For those who need RFID and barcoding capabilities, the Mesa 2 is also available with both, so just ask! We’ll be demonstrating the Mesa 2 with RFID at the upcoming RFID Journal LIVE! Conference, held May 3–5 in Orlando, FL. Stop by and see us in booth #948, if you’re there. If you won’t be anywhere near Florida next week, you can learn more about the Mesa 2 with RFID by downloading our product sheet here. 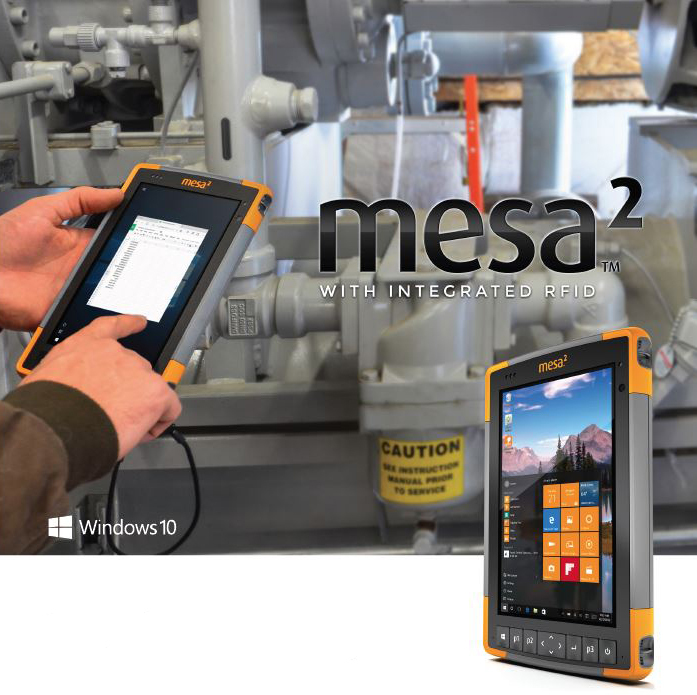 Contact us today for a quote or for more information on the Mesa 2 with RFID. Will the RFID scanner on the Mesa 2 work under water?